Goodyear Autocare is proud to announce the opening of their brand new tyre and automotive servicing outlet at Mandurriao, Iloilo. Headed up by local owner and operator Atty. Ed Aguillon, the team at Goodyear Autocare F&E Mandurriao is thrilled to now be able to offer the community outstanding customer service and satisfaction through the store. 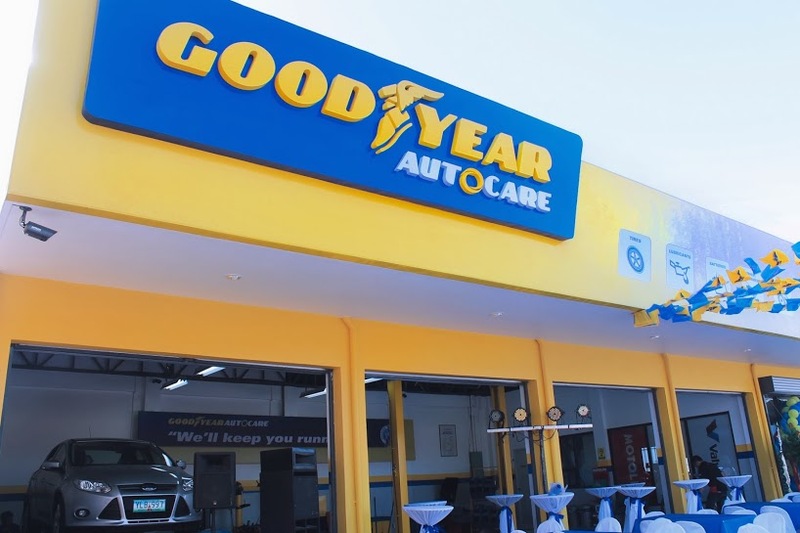 Goodyear Autocare F&E Mandurriao, which opened on March 1, offers motorists a ‘one stop shop’ for all their tyre, wheel, battery, engine oil, brake and auto servicing needs. Having been in the tyre and automotive servicing industry for 35 years, Atty. Aguillon’s primary goal for the new store is to be able to offer local customers a complete automotive service experience. Goodyear’s Managing Director for the Philippines, Ron Castro, explained the background behind the Goodyear Autocare concept: “We know the value of hard work and the importance of good customer service, and this is what we want to provide for our customers nationwide through the Goodyear Autocare concept,” he said. “The inside of the Goodyear Autocare stores—like Goodyear Autocare F&E Mandurriao—have been completely refurbished. It is fresh and friendly, creating a relaxed environment for the service teams to interact with customers and provide easy-to-understand, expert advice. You can contact the team at Goodyear Autocare F&E Mandurriao for all your tyre, wheel, battery, brake and auto servicing needs at Airport Road, Mandurriao, Iloilo, or call +63 33 508-2141/321-2815.